We have returned to honor the late, great George Romero! Listen as we explore the classic ‘Night of the Living Dead’! Barbara and Johnny just wanted to leave some flowers for their dead dad because their mom made them. But who is that man stumbling towards them? A GHOUL! We watch as these flesh eaters stumble and groan, trapping our cast favorite, Ben, and some other people in a boarded up, abandoned house. 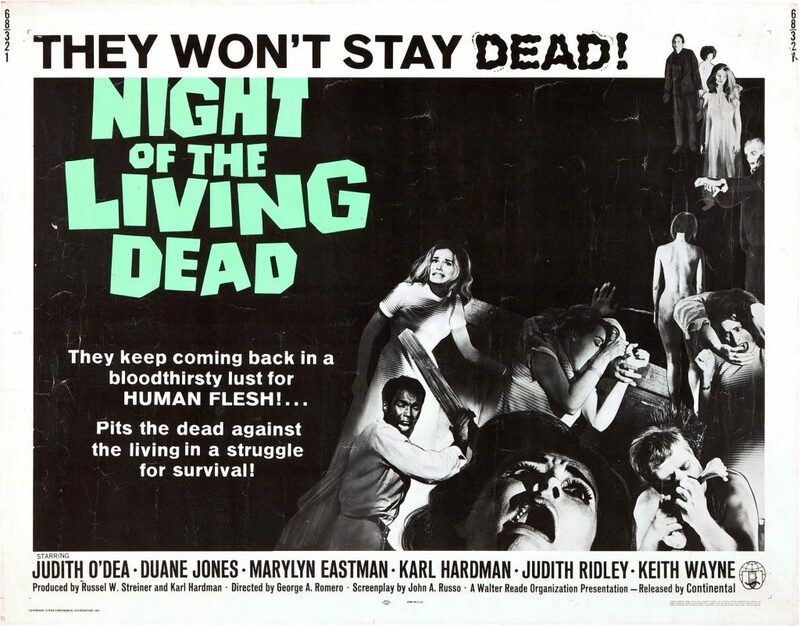 ‘Night of the Living Dead’ shocked America by taking the camp out of the horror genre and pushing it into a bloody, grisly tale that defines zombies to this day. This movie made horror for adults again and we liked it!